India’s infrastructure deficit, whether congested roads and ports, inadequate hospitals or wastewater treatment facilities, and slow trains is a key factor constraining rapid, competitive growth and job creation and thereby imposing huge costs on society. Low productivity, poor competitiveness, high costs, and the slow pace of urbanization are some of the consequences of this deficit. In this context, PPPs in infrastructure represent a valuable instrument to speed up infrastructure development in India. If India already represents the largest PPP market in the world, there has been a large decline in private investment in PPP projects in recent years for a number of reasons, including delay in project approvals and land purchase by the government, complicated dispute resolution mechanism in concession agreements and lower than expected revenue due to aggressive assumptions. The issue of lack of infrastructure in India is highlighted by the World Economic Forum, according to which the global requirement for infrastructure spending over the next 20 years is at least USD 40 trillion i.e. USD 2 trillion per annum. With all other commitments and responsibilities, it is undisputable that the states are not well sufficient to fully finance the same and hence the need for PPP becomes apparent. The importance of PPP infrastructure sector can be showcased by the fact during last 25 years, over 1000 projects worth at least USD1 trillion have been completed under PPP basis as pointed out by KPMG in one of its last study (KPMG, India soars high – a KPMG study, February 2016). In order to revive the dilapidated infrastructures, according to the last data available from the Wold Economic Forum, the governments globally need to spend about USD 2 trillion annually over the next twenty years. In the context, PPP may help in maximizing the economic value of the project due to the dominant expertise of private party, increasing the efficiency of the project by way of judicious allocation of risks and responsibilities and boost the development of technology and capital starved sectors. The increasing impact of PPPs can be estimated from the fact that in 11th five years plan 292 projects worth Rs2.4 lakh crore are being implemented and 404 projects worth Rs.3.8 Lakh crore are expected to be awarded in mid-term as mentioned by the Indian Construction Sector on its website. The maximum share of 35.4% and 15.9% has been granted to the road and ports sector respectively. In all cases, leading states have been noticed by the PPP central office which has noticed that among these states you have Karnataka, Andhra Pradesh and Madhya Pradesh which are the leading states in terms of number and value of PPP projects. At the central level, the National Highway Authority of India (NHAI) is the leading user of the PPP mode al. For a successful PPP there must be strong determination and clear objectives before the government to be formulated after intensive discussions, reports and surveys by independent bodies and experts. Structured identification of the probable forms of contract and private parties accordingly are required. Further, for the successful accomplishment of any project, the sustained political and bureaucratic commitment is must. The delay in implementation of modernization of Delhi International Airport as approved by AAI in 2003 was caused due to the change in central government which led to formation of Empowered Group of Ministers (EGoM) reconstituted in 2004 and final approval was given in 2006. The experience of Delhi and Mumbai airport bids has cautioned the government to give equal emphasis to both financial parameters as well as technical expertise while granting PPP with detailed Request For Proposal and other bid documents. The capability of the government to fulfil its obligation undertaken in PPP contract is must and hence should be pre analysed under all mitigating factors. It is is important because the international image of country and motivation of private parties to rely on the government of India is jeopardized sometimes irreparably. The defective calculations and sectoral assessment by the government leads to costly delay. For instance, the Sasam Ultra Mega Power Project got delayed due to non approval of the allotted captive mined under the MoEF “No-Go” zone, and Navi Mumbai International Airport got delayed because the area of construction was not allowed under Coastal Regulation Zone notification of 1991. The intricate and sustained planning of PPP project is important and the failures like that experienced in Bangalore International Airport wherein it was operational even though the roads connecting the city to the area were still under construction. On the other hand, there are successful projects to be emulated like the Bhiwandi Electricity Distribution Franchise, Alandur Sewerage Project, Amritsar Inter-City Bus Terminal Etc. There have been certain reports showcasing the reasons for failures of PPPs in developing countries. Currency fluctuations, inflations, conservative environment, difference in expected and actual revenue and institutional setup has jeopardised the interest of private players (Harris, 2001, Klein and Roger 1994). Regarding India, let us acknowledge and salute the huge efforts made to create the right enabling environment for the PPP. These relate to enacting new legislation, as for example, the Electricity Act, 2003, the amended National Highways Authority of India Act, 1995, the Special Economic Zone Act, 2005, and the Land Acquisition Bill. As also the creation of new institutions like regulatory authorities in telecom, power and airports, implementing authorities like the National Highways Authority of India (NHAI), and financial institutions like the Infrastructure Development Finance Company, the India Infrastructure Finance Company and so on. A slew of model concession agreements across sectors created the template for private participation. On the other hand, as pointed out by several Committees and Reports, there is a sharp decline in private investment in PPP projects in recent years principally because of delays in project approval as pointed out by a Moody’s report (Moody's Investor Service). Delay in project completion has resulted in cost overruns and revenue losses to private concession owners. The same report also point out the fact that the poor performance of some infrastructure projects, including PPP, has been a source of stress for both developers and the Indian banking system. 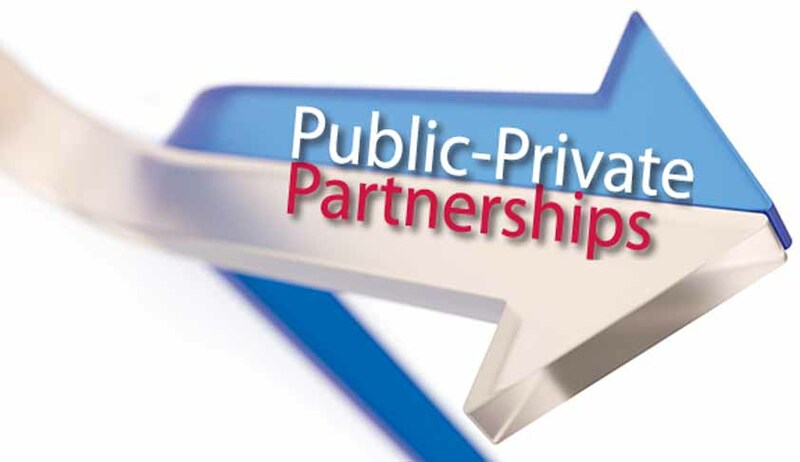 Among the numerous recommendations, the Report on 19 November 2015 from the Committee on Revisiting and Revitalising Public Private Partnership (PPP) Model set up by the Union Ministry of Finance pleaded for a consistent and transparent legislative and institutional frameworks which will lower the risk of adverse changes that can reduce market confidence and deter investor participation. Indeed, in many countries, PPP-specific laws are not strictly required to make PPPs legal, but have been introduced to encourage them as a model for delivering public infrastructure. In South Korea, for example, the PPP Act and the Enforcement Decree regulate the procurement of PPP projects, including a “Basic Plan for PPP,” which provides a detailed implementation process and defines the roles of associated parties. In Europe, France and Greece have laws that accelerate the implementation of PPPs. In the developing world, there are PPP facilitation laws in Angola, Benin, Mauritius, Fiji and Honduras. Given the urgency of India’s demographic transition, and the experience India has already gathered in managing PPPs, the government must move the PPP model to the next level of maturity and sophistication. Analysts have talked about three stages of a PPP Maturity Model, with countries like Spain, France, Canada and USA considered to be the third stage as pointed out by Deloitte (Closing the Infrastructure Gap, The role of the Public-Private Partnerships, Deloitte 2006). While India may still be at the first stage, it has already far exceeded many others in the level of PPP activity, and must now leapfrog to the second stage and perhaps even the third stage of maturity of PPPs based on the strong foundations it has built. It’s time to put these issues behind and focus on reviving the infrastructure sector in India. This is imperative, given the ambitious infrastructure plans such as Housing for All, 100 Smart Cities and stiff goals in increasing the capacity of power projects in conventional as well as renewable energy.